2019 and 2020 should see a revival of two hit franchises for Take-Two. Take-Two says it is focused on M&A and a possible acquisition of Zynga or Ubisoft would be a game-changer. Take-Two seems to be selling at half-off compared to its peer Electronic Arts. I think it’s safe to say that Take-Two Interactive Software (NASDAQ: TTWO) shareholders have had a rough six-months. From the announcement of Red Dead Redemption 2 back in October 2016, the shares rose from the mid-$40s to almost $138 by September 2018. Investors and gamers were very excited about the title and by all accounts the game has been a massive success. However, investors are always looking forward and what they don’t see is another hit the size of Red Dead. This likely explains why the shares have struggled over the last several months. The good news for investors, is while there won’t be another Red Dead release for a while, there are several reasons that suggest the stock could be a good value. If there is a theme for 2019, it’s let’s try something new. Companies like Electronic Arts (NASDAQ: EA) are bringing several new games to the market this year. On the one hand, EA’s Apex Legends seems like a big free-to-play hit that is already garnering acclaim from reviewers and gamers alike. Another game from EA this year is receiving less rave reviews and that is Anthem. While EA’s new releases seem to be a mixed bag, Take-Two investors are being promised a revival of two solid franchises. First, gamers know that the next stage in the Borderlands franchise is coming September 13 of this year. The game was confirmed as far back as the beginning of last year, and fans have been waiting patiently since 2014 for new content. Take-Two has been trying to stretch the appeal of the Borderlands franchise since the original release in 2009. Though the game was released in October of that year, by the end of 2009 the game had already sold over 2 million units. The original Borderlands scored well among critics and gamers alike, with IGN scoring it an 8.8 out of 10. In late 2009, and into 2010, Take-Two extended the game’s play-ability by releasing several DLCs. Just two years later, Borderlands 2 was offered up to continue the franchise. Through DLCs, Borderlands 2 offered gamers new features through 2014. Borderlands 2 exceeded the original, with a Metacritic score for the PS3 version of 91/100, compared to 83/100 for the first game. The beloved franchise was one of the best-selling games of 2012. It seemed like the timeline for Borderlands was an original release, then about two years of DLCs. However, the Borderlands schedule seems to have been lost for years. The good news is Borderlands 3 is coming this year and given the success of the prior two releases, this should give Take-Two a revenue boost. What should also excite investors and gamers, is the last two Borderlands games received DLCs for about two years past their release. While Borderlands should help Take-Two, there seems to be another big franchise destined to make a comeback next year. Take-Two said, “the unannounced title from one of 2Ks’ biggest and most beloved franchises remains on track for launch during fiscal 2020.” Some assumed that this would be Borderlands 3. However, this doesn’t make sense as the timing seems off, and it’s not exactly a secret since the game was confirmed last year. 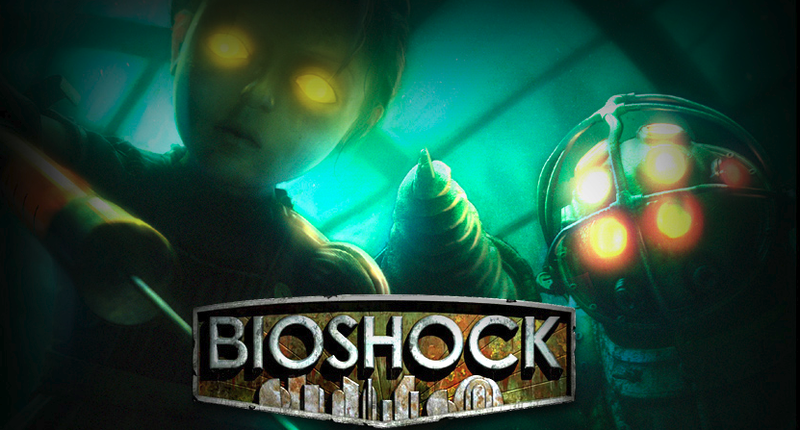 What seems more likely is a long-awaited sequel in the BioShock franchise. BioShock had a similar path to Borderlands. The first BioShock scored one of the highest Metacritic scores ever at 96/100 for Xbox 360 and PC and a 94/100 for PS3. The game was a huge hit and the company seemed to follow a three-year release schedule. BioShock 2 came out in February 2010, and BioShock Infinite followed in 2013. In the same way that Borderlands seemed to get lost, the BioShock universe has been waiting for new content for years. In 2015, Take-Two’s CEO said BioShock is, “unquestionably a permanent franchise.” In 2017, the same teaser language was used promising a, “highly anticipated new title from one of 2K’s biggest franchises.” Given Borderlands 3 is coming this year, reviving BioShock in 2020 would be perfect timing. In addition, this increased pace of game releases seems to fit with a comment by Take-Two’s President Karl Slatoff. He said in the last conference call, “Over time, you’re going to see a higher release and cadence from our titles because that’s the stated objective of ours.” With bigger and more frequent releases, this gives investors a strong reason to consider Take-Two stock. The second reason investors should consider Take-Two comes from another comment by the company’s President. Slatoff also said during the conference call, “we’re focused on MA& as well and there’s always an opportunity to bring in new projects that way.” This shouldn’t be overlooked as not only does Take-Two have the currency to do a deal, but the industry seems ripe for more consolidation. If there is a chink in Take-Two’s armor, it’s the company doesn’t seem to have a wide enough catalog of titles. Certainly, bringing back Borderlands and BioShock will help, but compared to what Electronic Arts releases each year, Take-Two’s lineup looks a bit thin. The company says it is focused on M&A, and there are several studios that would make plenty of sense. One thing that stands out comparing Take-Two to either EA or even Activision-Blizzard, is the reliance on console and PC titles to drive revenue. In the last twelve months, Take-Two generated 85% of earnings from console releases and the other 15% from PC and “Other.” As a quick comparison, EA generated over 14% of its last quarter revenue from mobile alone. Activision’s acquisition of King means a significant portion of the company’s revenue comes from mobile. If Take-Two wants to diversify its revenue stream, a company like Zynga (NASDAQ: ZNGA) might make sense. The company is well known in the mobile arena with games like Words With Friends 2, CSR Racing, and Empires & Puzzles, and more. The company’s market cap sits at about $5 billion, yet Zynga’s net cash position is nearly 10% of that figure. The company also generated positive core free cash flow last quarter of about $9 million. Take-Two is sitting on about $1.8 billion in cash so an all-stock or stock and cash offer would probably be appealing to Zynga shareholders. Zynga shares do trade at over $5 a share, which is better than they have done in a while. However, long-suffering investors who remember Zynga at $12 might welcome an exit point. Zynga trades for just under 4 times revenue, whereas EA fetches nearly 6 times projected revenue. A valuation in the middle of the two, at 5 times revenue, would value Zynga at just under $7 billion. 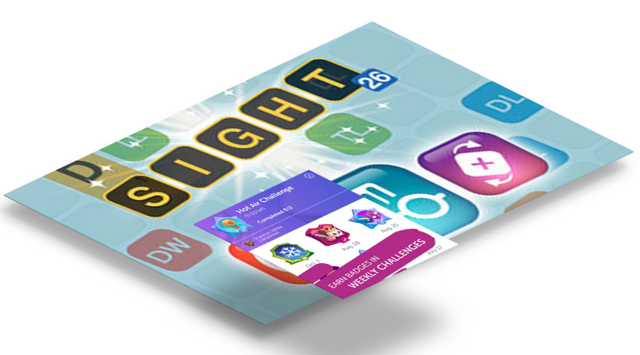 This would give Zynga shareholders a nice premium. This acquisition would provide Take-Two a company that analysts are expecting to grow earnings by 30% annually over the next five years. A second option from an M&A perspective would be a merger of equals with another company that seems to need a wider moat… Ubisoft Entertainment (OTC: OTCPK:UBSFY). The French company just watched Vivendi divest its shares in the company, theoretically ending the risk of a hostile takeover. Ubisoft is known for iconic franchises like, Assassin’s Creed, Far Cry, and Tom Clancy. Though Ubisoft seems to want its independence, the allure of a broad swath of AAA level games from Assassin’s Creed, to Grand Theft Auto, would make a gaming powerhouse. A merger of equals would likely be an all stock deal, with Ubisoft’s Guillemot brothers garnering a lead role in the combined company. There might not be a significant merger premium given the strength of both companies, but their future growth would be undeniable. The fact that Take-Two has dry powder, the willingness to do a deal, and clearly knows how to market hit games, makes the company’s M&A focus a big deal for investors. The third reason investors should consider Take-Two is because of the stock’s relative value. If we look at EA and Take-Two side-by-side, there seems to be a clear disconnect. Based on traditional valuation metrics, unless analysts are significantly wrong, Take-Two looks like an absolute bargain relative to its peer. There is a bit more to the story that may partially explain this valuation gap. In the last three months, EA generated significant core free cash flow, to the tune of $0.72 per $1 of revenue. By point of comparison, Take-Two generated a more meager $0.12 of core free cash flow per $1 of revenue. One challenge facing Take-Two is the expected drop-off following the massive hit of Red Dead Redemption 2. Analysts expect Take-Two’s revenue to jump by 48% this year, but then to decline nearly 6% next year. Electronic-Arts has the opposite trajectory with revenue expected to decline this year and then grow next year. Take-Two’s growth this year is nearly guaranteed with Red Dead Redemption 2. Next year’s decline may miss the mark. It seems possible that a BioShock sequel is on tap for 2020, which would help to stem a potential revenue decline. If we look at Borderlands coming back after 5 years and BioShock returning after 6 years, it’s interesting that Grand Theft Auto V’s original release was 6 years ago. If Take-Two is going to step up its release cadence, a sequel to this massive franchise in 2020 would be a revenue boost and something analysts don’t seem to anticipate. In the end, Take-Two’s Borderlands 3 release should provide a revenue boost for the next couple of years between the game and DLCs. If BioShock returns in 2020 as expected, this will also help revenues. Though its speculation, a sequel to Grand Theft Auto V should be coming sooner rather than later. Take-Two's M&A focus gives the company another way to improve its growth over time. Given these positives, and the stock’s relatively cheap valuation, investors looking for both a growth and value play should give Take-Two a second look.